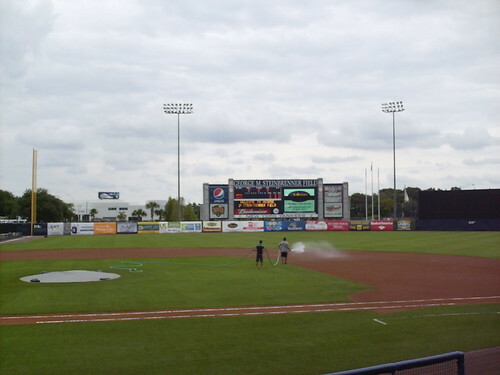 The view from behind home plate at Steinbrenner Field. 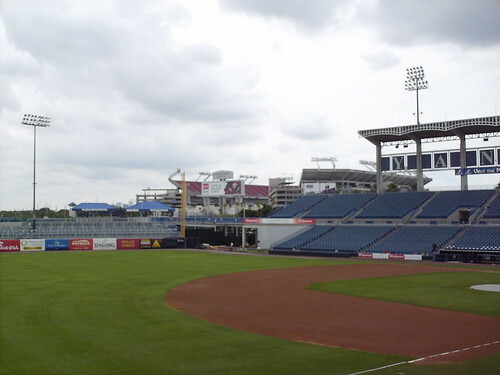 The grandstand at Steinbrenner Field, as seen from the pavilion in right field. 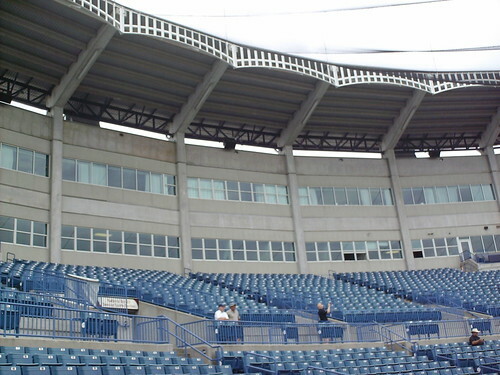 The pressbox sits within a wall of luxury boxes that runs along the back of the grandstand. 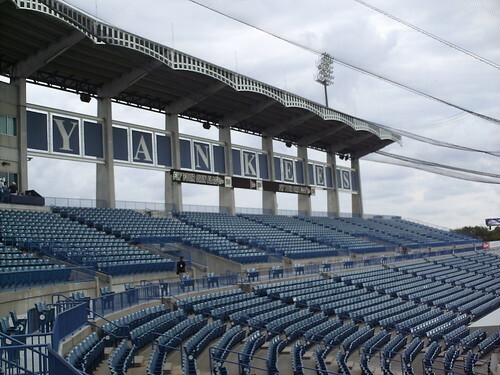 The iconic Yankee Stadium frieze runs along the grandstand roof, and a series of banners announce that the Yankees play here. 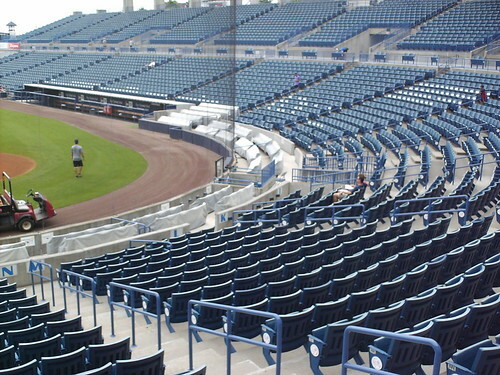 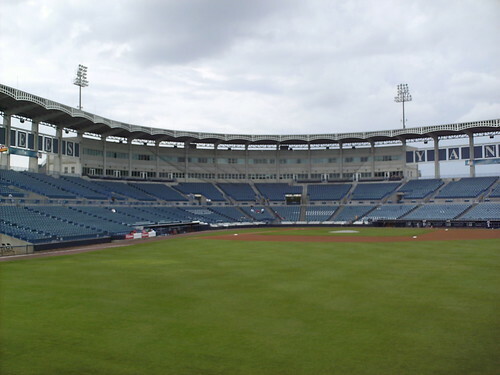 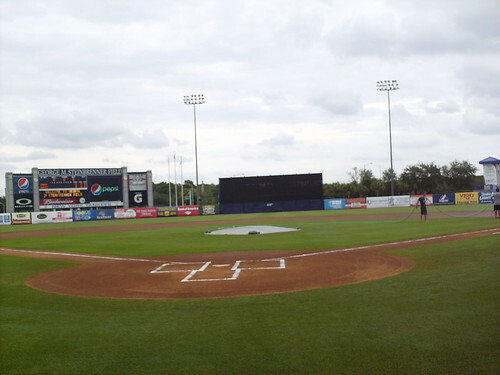 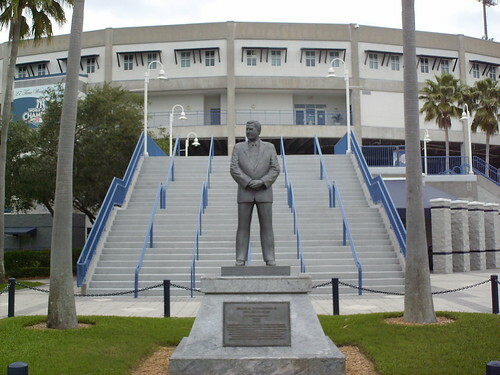 Steinbrenner Field features more seats than most of the Spring Training parks in Florida, owing to the large number of Yankee fans in the sunshine state. 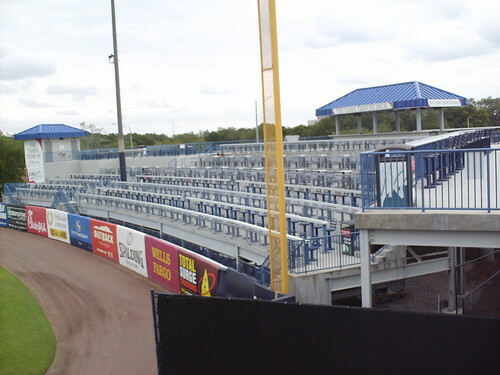 The Tampa Tribune Deck in the right field corner features drink rail seating and a group party area. 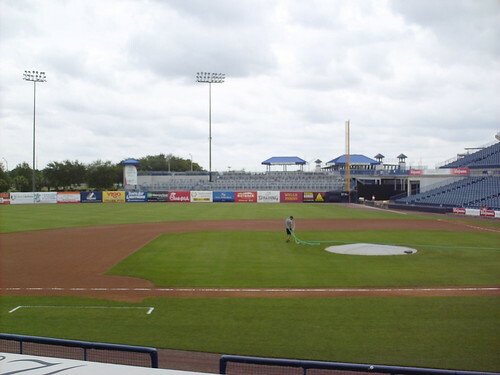 The ballpark is across the street from Raymond James Stadium, the home of the NFL's Tampa Bay Buccaneers, and the stadium is visible from the left field corner. 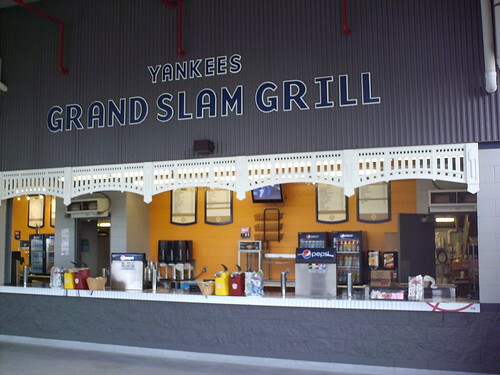 The concession stands feature pinstripes and the rooftop frieze, giving them a distinctly Yankee feel. 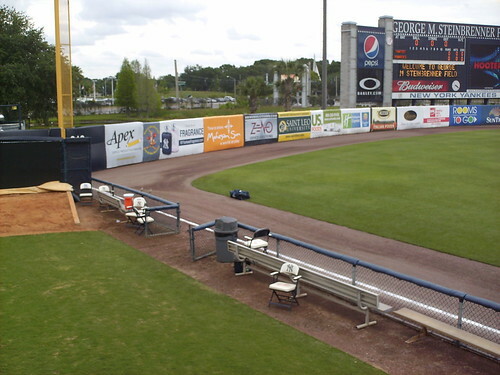 The outfield fence is fairly uniform. 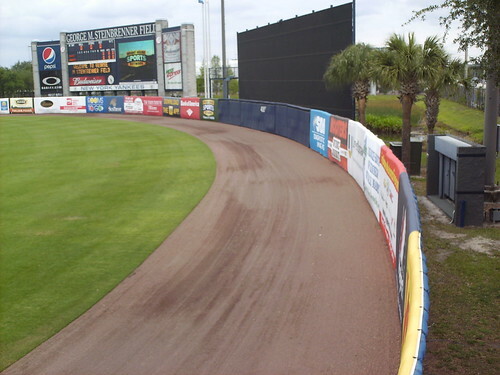 The home bullpen sits in the left field corner, and a short fence separates it from the playing field. 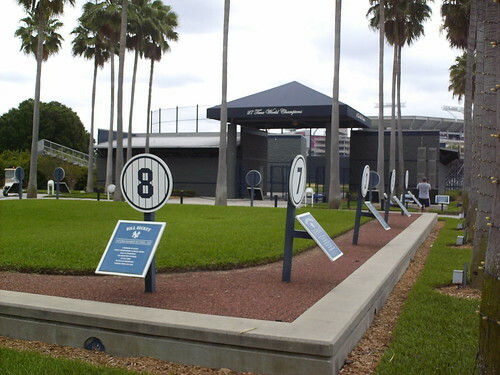 A miniature version of Monument Park sits outside the main gate to the stadium, celebrating the Yankees former legends. 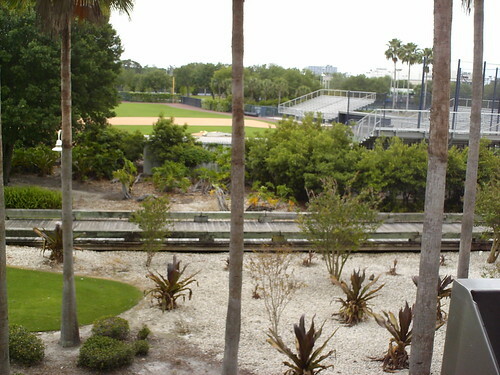 The Yankees practice fields sit beyond the landscaped grounds of the main field. 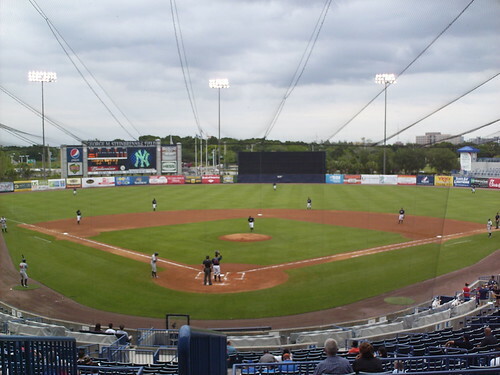 The Tampa Yankees on the field during a minor league game at Steinbrenner Field.